There's a historic elegance to the Judith Leiber brand, which comes from the label's impressive fashion heritage. With more than five decades in the industry the brand is one of the best known when it comes to accessories and has been the choice of celebrities and First Ladies on many well known occasions. As well as the signature crystal embellished bags produced by the brand there are also a range of other lines to enjoy. This includes a selection of sunglasses, which have a classic chic design, from baguette trim oversize looks through to aviator styles. The range also features contemporary detail, including an appealing selection of colored frames and shaded lenses with plenty of the signature Judith Leiber embellishment added for good measure. 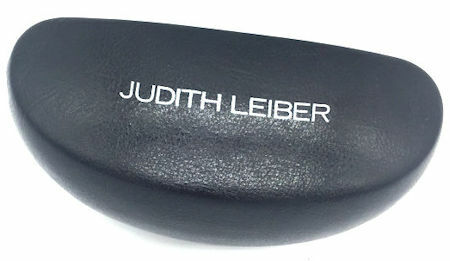 Our Judith Leiber sunglasses are brand new and guaranteed to be 100% authentic!